"So... You've Dyed Your Hair..."
It was a regular day at the sea, where pirates were working on their ship, scurrying about, yelling things to each other. On this ship, also worked a kacheek as the ship's cook. 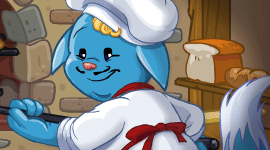 A Guide to Owning an Elephante by iloveoreos_ Everyone loves their Neopet - yes, that's true. But not many people know how to care for the often overlooked Elephante. You may know to walk your Lupe or how to comb your Wocky, but do you really know how to properly care for your Elephante?? This guide will tell you everything that you need to know!! 1. Feed them their favorite foods Believe it or not, Elephantes absolutely love snacking. Their favorite snack of all is peanuts! I suggest starting out with a Basket of Peanuts, but if that doesn’t satiate your Elephante then you will want to buy a Bag of Peanuts as well. Yes, they are a bit on the expensive side but you want nothing but the best for your precious Elephante. As a bonus, feeding them a Bag of Peanuts for the first time will also get you a nice, shiny avatar – Elephante Surprise. 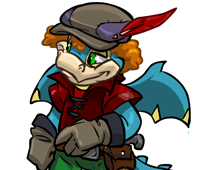 You can use this avatar for chatting on the Neoboards or in your guild and show off your true love for this awesome Neopet!! For Elephantes with more expensive tastes there are rare Gourmet Foods. Your pet will truly be living the life of luxury when you feed them these amazing dishes. This automatically puts your pet into the Gourmet Club, where they can compete to eat the highest number of the most exquisite foods in Neopia. MERIDELL - Fighting through the bushes that are blocking your path, you emerge upon the top of the hill and bask in the beauty of the land below: it's the medieval world reigned by King Skarl. You look around in the distance seeing the great blue and red castle, a village, plenty of farmland and fields, and an array of shops. Welcome to Meridell, and here we will take a closer look at this marvelous medieval kingdom and all that it has to offer. Eliss continued to stare at the rainbow fountain, still in disbelief. She looked down at her book in her arms suspiciously, but it still looked the same. What had just happened? I knew it would be steampunk but...wow!